If you were getting tired of waiting for everything to change again for the 5th time, you may not have to wait too much longer. A rumor has started to circulate that the iPhone 4S will indeed be making its debut at WWDC which is happening June 6-10. The rumor was started by UK gadget blog Electricpig, and has some interesting reasoning behind it. Electricpig is convinced that the iPhone 4S will make an appearance, because they've heard that Apple's UK iPhone PR team is pushing hard for major tech journalists to attend WWDC in San Francisco. This doesn't specifically point to an iPhone announcement, but certainly we can expect something iPhone related. Originally, it was expected that the normal summer launch for a new iPhone would be pushed back because of the February release of the Verizon iPhone 4. Those suspicions seemed to be confirmed when the first flyers for WWDC touted "the future of iOS and Mac OS X" rather than the future of the iPhone. The prevailing theory in the tech world is that the iPhone 4S will be a stop-gap device released this fall and feature a dual-core processor as well as a few cosmetic changes (because we wouldn't want any of those iPhone 4 cases to fit the 4S!) 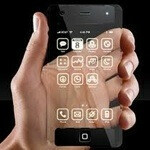 It's expected that next year will see the iPhone 5 come with a major redesign. We aren't fully convinced that we'll see the iPhone 4S just because Apple is pushing journalists to attend. It seems just as likely that Apple wants as much media at the event as possible because, well, they're Apple, and they love to employ the media machine as part of their marketing push. why would a "4S" version not be considered a 'full' version when the 3GS was? They went with "4" for the 4th version and should just stick with "5" for the 5th version, etc. they might use "4S" for this one and "4G" for the next one. Or, we might even get a 'global' branding for this version based on the qualcomm chip. i dont think they will announce hardware months in advance. apple never does this. at best, i think we get an iOS 5 preview (which would best fit on the iphone 5). It appears more likely that the opposite is true - Apple is lobbying journos to attend because there won't be an iPhone announcement and therefore less incentive. lte.?..wimax. ?..64gb memory?.. it would be really awesome if the next iphone had those features. 64gb memory? you know how apple loves to push accessory sales, why not external memory? It wouldn't surprise me if they announced the iPhone 4S at WWDC with shipping to occur in September, 2011. My prediction for the 4S specification listing: Chipset (CPU, RAM and GPU) from the iPad 2 with nothing else changed. Of course, they could also announce an iPhone edition for Sprint and T-Mo.... The real question is going to be what all has changed in iOS v. 5.0.... I hope they re-work their notifications function. The current notifications function is soo out-of-date. Yeah, they are almost as bad as those phAndroids. wats up with all this spaming danmit!! phonearena WTFF!!! WTF is the difference between spam and iApple? NOTHING! Get over it. it's all BS. Weren't you one of the spammers? Want an iOS 5 preview...look at it now. That' what iOS 5 will look like and I'm going to be going out on a limb here and say 6 will look the same also. Yeah it'll look the same, but they are going to redesign the voice recognition, notification system, and possibly add widgets. What will major redesign mean? Is it like: It's a major redesign... It has no corners and it's .0013millimeters thinner!!! then the apple fanboy reaction => "That's so awesome th iphone has been completely redesigned!!! OMG!"